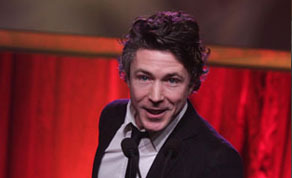 'Love/Hate' and 'Game of Throne' star Aiden Gillen cast in 'Sing Street' ,shooting in and around Dublin. Aiden Gillen, star of ‘Love/Hate’ and ‘Game of Thrones’ and upcoming RTE biopic ‘Citizen Charlie’, has a lead role in John Carney’s new film ‘Sing Street’, currently shooting in and around Dublin. According to Independent.ie, Gillen is to join fellow Irish actors Maria Doyle Kennedy and Jack Reynor in leading Carney’s film. ‘Sing Street’ tells the story of a fourteen year old boy who forms a band in a recession ravaged 1980’s Dublin before personal strife sends him packing to London with his fifteen year old girlfriend, who dreams of becoming a model. Gillen said, ‘It’s semi auto-biographical from John’s point of view and about a team band in the early 80s and a kid who escapes his family life’. ‘Sing Street’ looks set to be released in 2016 and will be director John Carney’s eighth feature film after ‘November Afternoon’, ‘Park’, ‘On The Edge’, the Oscar-winning musical drama ‘Once’, ‘Zonad’, ‘The Rafters’ and the New York set ‘Begin Again’.